First Listen: Abigail Washburn, 'City Of Refuge' Washburn's music career is defined by folk, whether she's playing with a band or going solo. But she embraces a different kind of sound on her new album, City of Refuge. Singer-songwriter Abigail Washburn brought in producer Tucker Martine to help craft her latest solo record, City Of Refuge. Isn’t there a saying about best laid plans going awry? Well, Abigail Washburn had a plan -- and it was a good, solid plan. She was going to head to Beijing, study law and continue to make music on the side. Instead, she got a record deal, her group Uncle Earl took off and her debut solo recording, The Song of the Traveling Daughter, blew everyone away. In this case, it was a best laid plan that got better. Once again, Washburn is changing lanes in the musical world: "This new project," she says, "incorporates what would've in the beginning of my career seemed like an unexpected move." That move takes her outside of the her comfortable folk and roots sound and pushes her toward a more rock and pop feel. She chose the ideal producer for this journey in Tucker Martine (The Decemberists, Spoon, Sufjan Stevens). City of Refuge showcases Washburn's lyrics and voice more than her previous recordings. In "Burn Through," she convincingly plays a tough character who isn't "going down with the rest of you." She also sparkles in the role of a troubled soul trying to figure things out in "Last Train," which also features a remarkable turn by fiddler Rayna Gellert. 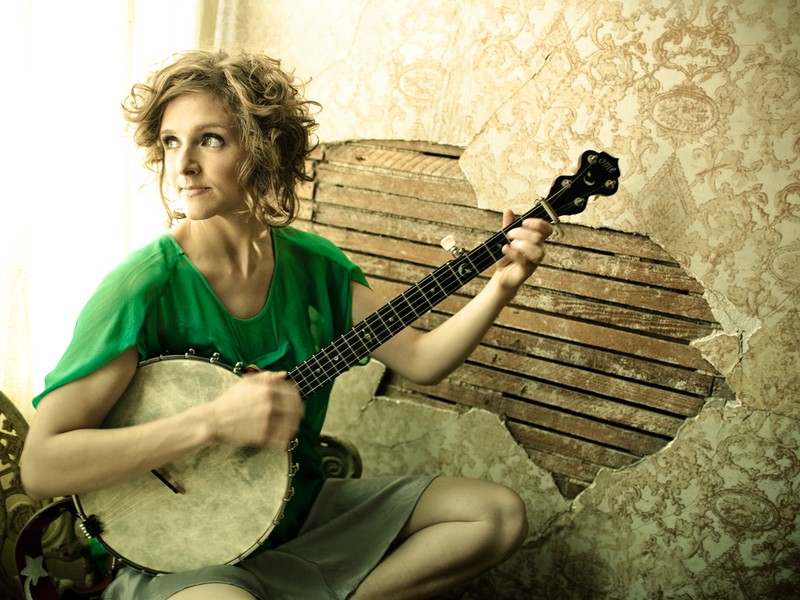 Washburn still showcases her signature clawhammer banjo playing on City of Refuge. Those moments are mixed with quietly lush orchestration ("Bring Me My Queen"), standout guitar riffs from Bill Frisell, a guzheng (a Chinese zither) played by master Wu Fei, and backing vocals from Old Crow Medicine Show's Ketch Secor and Morgan Jahnig. Washburn says she wanted to make an album where everyone could find some sense of belonging, and she did it. Just listen to the title track: There's something so pleasing about how the plucky intro unfolds into a story about someone who, ready for a new beginning, sets out to find that elusive "City of Refuge" that we all need every now and again. City of Refuge will stream here in its entirety through its release on Jan. 11. Please share your thoughts on the album in the comments section below.